Warka Water—the brilliant design that harnesses drinking water from thin air—has come a long way since we first covered it in 2014. The innovative project has since built its first pilot in a rural Ethiopian village and recently won the prestigious World Design Impact Prize at a World Design Capital gala in Taipei. Recognized for its potential for creating positive social and environmental impact, the Warka Water project beat out an impressive shortlist of social design projects including HappyTap and RE:BUILD. Designed by Arturo Vittori and his Italian studio Architecture and Vision, Warka Water is a water-catchment system that produces potable water by harvesting rain, fog, and dew. The team took design cues from naturally found forms, like termite hives and cactus spines, and combined them with low-cost, locally found materials to create the sculptural and biomimetic tower. A Warka Water structure comprises a bamboo frame, recyclable mesh, rope, canopy, and a water tank, and can be assembled easily and inexpensively by six people in about four days. After a successful Kickstarter campaign launched early last year, the team installed their Warka Water 3.2 prototype in southern Ethiopia’s Dorze Community in May 2015. The canopy that extends from all sides of the tower provides shade and facilitates a social gathering space. The design team is also experimenting with creating a water-efficient vegetable garden at the base of the tower. 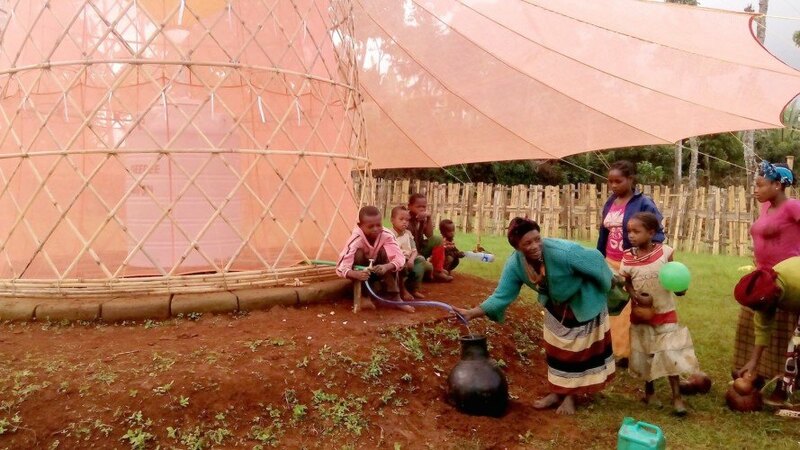 Following the success of Warka Water’s first pilot project, the team plans to install improved Warka Water towers in other areas of the world with limited access to clean and safe drinking water. The designers have also started developing a better 3D mesh fabric specifically designed for fog harvesting. Mass production of Warka Water is targeted for 2019, and the structures will be easily transportable and assembled without the need for scaffolding or machinery. To help support Warka Water, you can make a donation on their website or on their Generosity crowdfunding page. should people have to pay for clean water? should people have to pay for clean drinking water? Designed by Arturo Vittori and his Italian studio Architecture and Vision, Warka Water is a water-catchment system that produces potable water by harvesting rain, fog, and dew. The team took design cues from naturally found forms, like termite hives and cactus spines, and combined them with low-cost, locally found materials to create the sculptural and biomimetic tower. 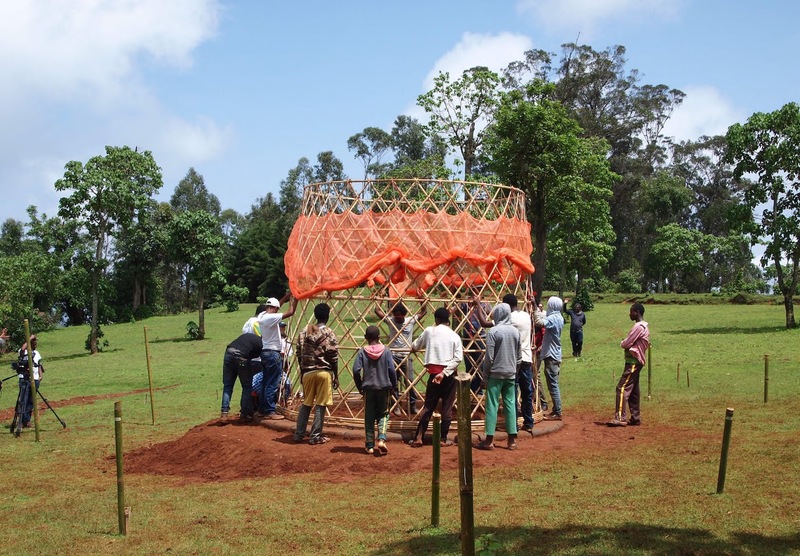 A Warka Water structure comprises a bamboo frame, recyclable mesh, rope, canopy, and a water tank, and can be assembled easily and inexpensively by six people in about four days. After a successful Kickstarter campaign launched early last year, the team installed their Warka Water 3.2 prototype in southern Ethiopia’s Dorze Community in May 2015. The canopy that extends from all sides of the tower provides shade and facilitates a social gathering space. The design team is also experimenting with creating a water-efficient vegetable garden at the base of the tower. Following the success of Warka Water’s first pilot project, the team plans to install improved Warka Water towers in other areas of the world with limited access to clean and safe drinking water. Mass production of Warka Water is targeted for 2019, and the structures will be easily transportable and assembled without the need for scaffolding or machinery. 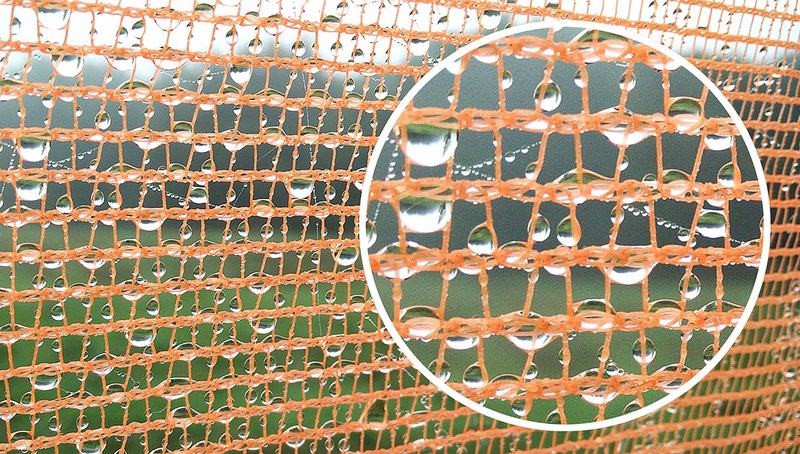 The designers have also started developing a better 3D mesh fabric specifically designed for fog harvesting. To help support Warka Water, you can make a donation on their website or on their Generosity crowdfunding page.